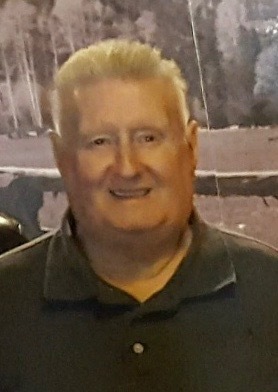 Obituary for Ronald R. Cramer | Egger Funeral Home, Inc.
Ronald R. Cramer, 77, of Newville passed away Thursday January 31, 2019 in UPMC Pinnacle Carlisle. He was born February 16, 1941 in Newburg the son of Dean E. and Ruth P. Swartz Cramer. Mr. Cramer is survived by his wife Shirley M. Graham Cramer. He had retired from Amp Inc., and had worked at Saylors Market in Newville. He had attended the Carlisle First Church of God, and spent many summers at Dogwood Acres Campground. In addition to his wife he is survived by two daughters Justine R. Cramer, and Stephanie R. Cramer, one son Gregory A. Cramer, one sister Janice Heberlig, and two brothers Lee Cramer, and Calvin Cramer. A viewing will be held Sunday February 3, 2019 from 2 to 4 PM in the Egger Funeral Home Inc. 15 W. Big Spring Ave. Newville. A funeral service will be held at 4 PM in the funeral home with Rev. Michael Poe officiating. Burial will be held at the convenience of the family. Memorial contributions may be made to the American Cancer Society 2 Lemoyne Dr. Suite 101 Lemoyne, PA 17043.